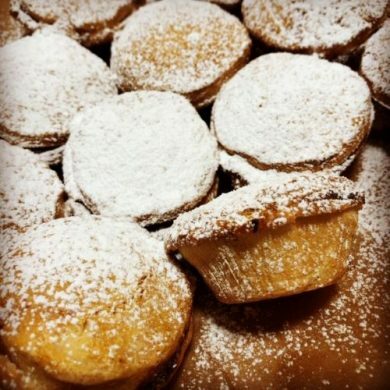 Mannings Bakery traditional shortbread mince pies. We lovingly fill shortbread tartlets with Dublin whiskey spiked traditional spiced fruit and top with more sweet and crumbly handmade shortbread. A lovely treat and a gorgeous gift, a tradition worth celebrating.